We are your Carmel, Monterey and Pebble Beach stone care experts. Whether you need cleaning, sealing, color enhancement, non-slip treatments, stone floor resurfacing, polishing, or tile and grout restoration, Carmel Custom Stone Care is your first choice for quality care and service. We are a state licensed contractor with over a quarter century of professional experience. California State Contractors License # 606890. We have been providing our customers with professional services for over 25 years. Not only do we use top of the line products, but our experience in the field has won us the trust of clients throughout the community and a reputation for delivering satisfying service. We currently serve Carmel, Pebble Beach, and Monterey, CA. 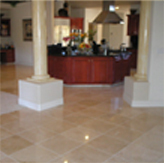 At Carmel Custom Stone Care we maintain a reputation as experts in sealing, cleaning and restoring stone, both interior and exterior. We have been serving the Monterey Bay Area for over 25 years and we take great pride in our stone, tile and grout cleaning. We are certified by StoneTech, Dry Treat, and Stone Pro. Some of the products we use include Aqua Mix and the next generation green sealers. 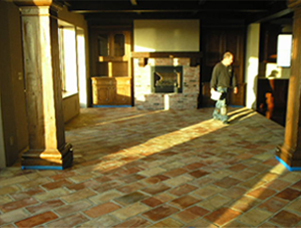 Our Carmel stone care professionals are experienced in sealer selection and application. We also teach and offer maintenance programs for those interested.